A key element of trading is identifying situations in the financial markets that can produce a profitable trade. Fundamental analysts search for situations where a stock is undervalued or if a stock's prospective earnings growth is underestimated by a majority of investors. Technical analysts look at patterns in the market that historically indicate the direction of the markets next move. High Probability Trade Set-Ups catalogs the best trading situations from a variety of technical approaches. Engaging and informative, High Probability Trade Set-Ups provides a detailed explanation of twenty powerful, recurring tradable situations in the financial markets. Each pattern is thoroughly described, including its strengths and drawbacks, ease of identification, and the degree to which it produces profitable trades. Most importantly, the author provides entry and exit points for each set up. Examples of the set-ups include chart patterns such as ascending triangles, diamonds, gaps, pennants, and channels. 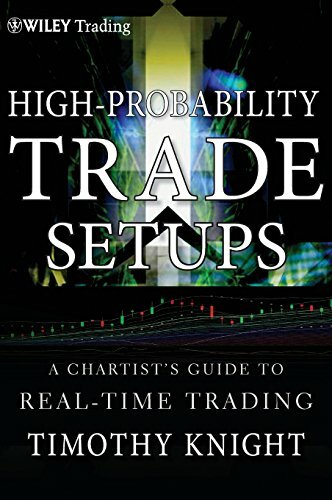 Written in a straightforward and accessible style, High Probability Trade Set-Ups covers a lot of ground with respect to this approach and shows you how to use it to make the most of your time in today's dynamic markets.